(Stamford, CT) – Pets are part of the family and now more than ever are treated as such. According to the 2017-2018 American Pet Products Association (APPA) National Pet Owners Survey, almost three-quarters of dog and cat owners purchase gifts for their pets, and almost half of dog owners and 38 percent of cat owners buy holiday gifts for them. APPA is excited to highlight a few festive favorites manufactured by its members, in order to provide pet owners with a wide selection of holiday gifts this season. Below is a range of products that can fit everyone’s budget, and even the naughty and nice. An adorable toy for your naughty or nice pup, Naughty Bone and Nice Bone by Planet Dog are the perfect gifts for under the tree!The newest and most festive additions join their line of best-selling Orbee Bones in a limited-edition design just in time for the holidays. Bones are for small and medium-sized dogs and are available in two different sizes. 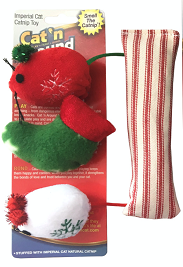 The best gift is one that keeps on giving and the Holiday Catnip Trio by Cat Claws gives cats endless playtime. Cats don’t only get one toy but three different toys stuffed with all-natural catnip that will entertain them throughout the festivities. This holiday trio makes Purr-fect stocking stuffers as well! New Holiday Flat Jax Toys by Ethical Products are a fun and festive gifting option this season. 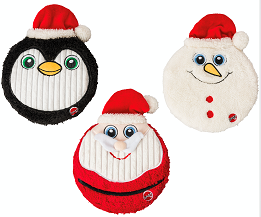 Assorted in three styles; Penguin, Santa and Snowman, the toys are designed with a a jumbo pancake-shaped body and squeaker that works even if punctured. Each character features a super soft plush and an adorable Santa hat with a pom pom. 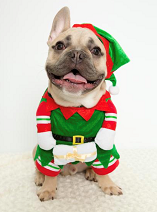 The Elf Dog Costume by Pet Krewe is a fun and festive way to get pups in the spirit too! This costume is comfortable and easy to put on. Just tie it around the mane and fit over the front legs. Costume includes a hat and attached arms which gives the impression of dogs standing on their hind legs. Grab a camera and get ready because holiday party guests are going to want to take a photo with Fido. Canine companions will be in style for the holiday season with the Where's Merry Deluxe Collar & Leash Set by Country Brook Petz. 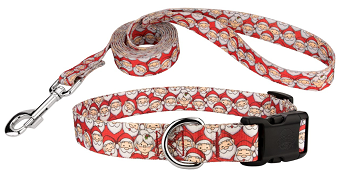 This matching leash and collar set will not only have canine companions creating a fashionable buzz throughout the holidays, but it will also keep them safe and protected with the durable construction and high-quality hardware put into each product. 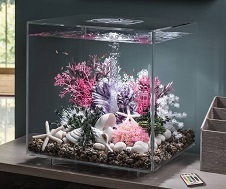 The biOrb CUBE 60 Aquarium offers a new gifting option for pet lovers with home style. With its clean lines, it provides an unobstructed view of your aquarium inhabitants and an open space for endless creativity. In addition, users can light the aquarium with 16 preset colors, or set it to gently fade through the entire spectrum. This exquisite 16-gallon aquarium is available in sleek black or white trim or all transparent. 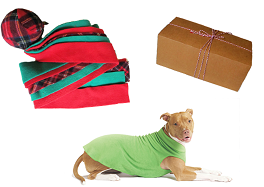 Get your pet ready for the holidays with NHV's Pet Holiday Essentials Kit. 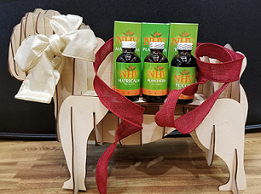 This must-have holiday bundle contains NHV Matricalm, which is a natural pet remedy designed to calm cats or dogs, Plantaeris to help soothe irritated tummies when they get into something they shouldn't, and Yucca - to help soothe joint pain during the cold weather months…a gift for pets and their owners. Finally, a gift pack with variety, the Golda Paw Series Holiday Gift Pack comes with a Stretch Fleece, Gold Paw Comet Toy, which is a fluttering, squeaky fuzzy ball of brilliance and a bag of Snooks Sweet Potato Dog Treats. It comes all wrapped up and ready to give! For more information, product samples, images or interview opportunities, please contact Liz Thomas at 775-322-4022 or liz@theimpetusagency.com.